University of California Master Gardeners encourage a healthier community and healthier gardeners throughout the state. UC Master Gardeners encourage the public to eat more fruits and vegetables by enhancing local, sustainable, healthy food systems for families, neighborhoods, and communities. Programs increase gardening, horticulture, and science literacy through quality education and local community outreach. Community members learn new skills, get outside and exercise, meet new people, and gain a better understanding of different cultures. Below are just a few examples of the many outstanding projects developed by UC Master Gardeners throughout the state,. Visit your local program website for a full listing of projects in your county. 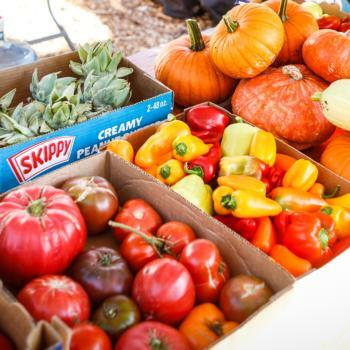 Los Angeles, Calif. – UC Master Gardeners of Los Angeles County have a passion for connecting the public to where their food comes from and believe the connection begins at a young age. More than 300 UC Master Gardeners have volunteered in 477 school gardens across Los Angeles County, reaching more than 82,000 students, teachers, and administrators annually. 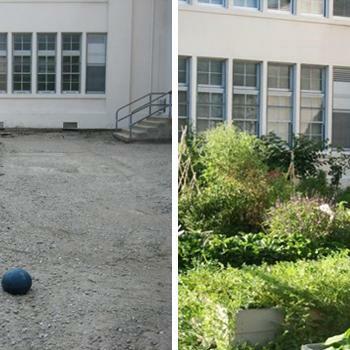 UC Master Gardeners of Los Angeles are passionate about giving educators and parents the tools needed to develop and maintain a sustainable school garden that fosters a healthy learning environment, while connecting youth to healthy organic foods. Contra Costa County, Calif. – UC Master Gardeners of Contra Costa County partnered with the Contra Costa Times and founded Our Garden in 2009. The garden provides a bountiful growing space and in-depth workshops. Our Garden is an ongoing, collaborative edibles demonstration garden. All food produced by Our Garden is donated to the Monument Crisis Center. More than 12,000 pounds of organic fresh fruits and vegetables have been donated to the center. 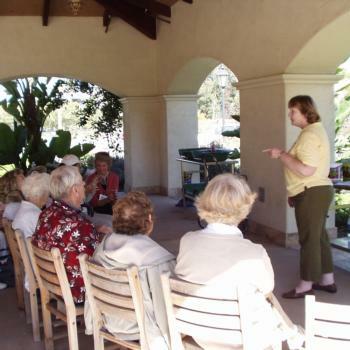 San Diego, Calif. - UC Master Gardeners of San Diego County worked with the Braille Institute of San Diego to develop a series of classes for the blind and visually impaired. The International Search for Excellence award-winning horticultural therapy and educational program offered participants educational gardening techniques that focused on the sense of touch. Volunteers reported it as the most rewarding volunteer effort they had experienced. They established horticulture teaching methods for a special population and gave participants who may have difficulty gardening a chance to do so.